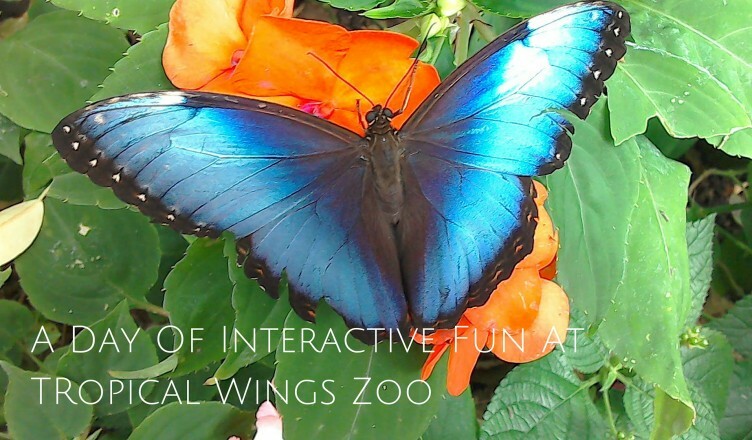 Going to the zoo might seem like the perfect family activity, and it is! But it’s just as good for a day of fun planned and carried out by adults! On my last day in Essex, just before driving away to Birmingham for an author event (I do that, write books), my friends, Geoff and Saad, took me to the Tropical Wings Zoo. It was a short drive away from the bed and breakfast I was staying at, and somehow we managed to have a bright and sunny day to enjoy our trip. I have to say this, there was a kid involved as well, Geoff’s niece, but I am pretty sure no one could have said who was the adult and who was the kid among us, because the size of our grins and the wonder in our eyes were pretty much the same If you don’t count the height difference, that is! Even when you look at height, with my towering 5 feet frame, I clearly couldn’t be mistaken for a kid, could I? Tropical Wings Zoo was my first experience where I’d wander through the place and have birds, butterflies, and other critters flying around. I was terrified I might hurt something for the first few minutes. 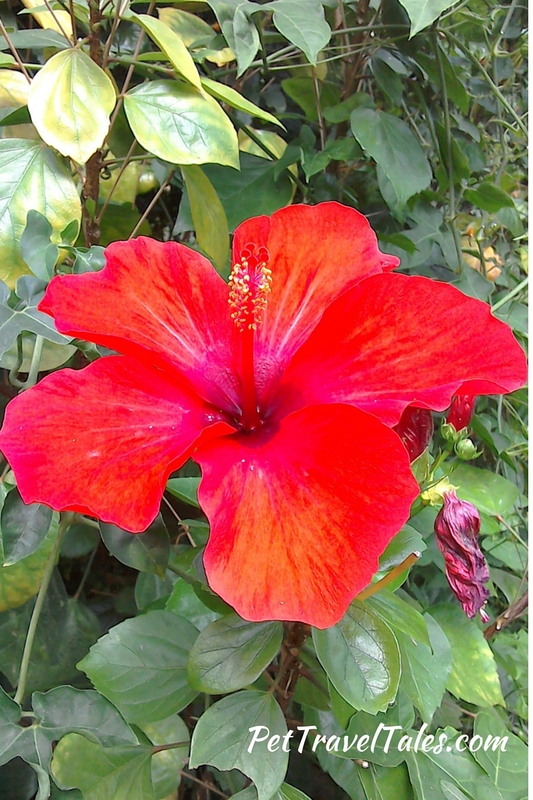 Then I just lost myself among cicadas, butterflies, bird song, the fish in the pond and the beautiful flowers. After the first immersion in what I thought of as butterfly land, we went outside to visit all the other birds and animals. Saad discovered a bird of prey show and we attended that. 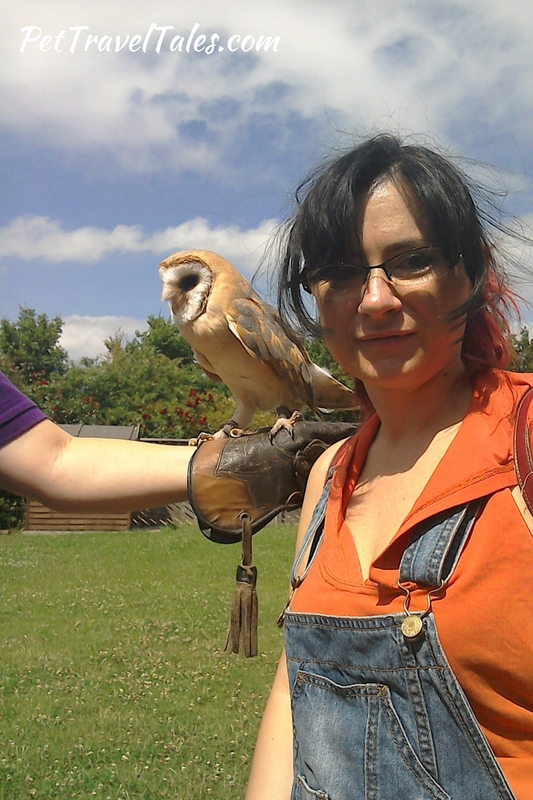 We of course got photos with a cute owl. 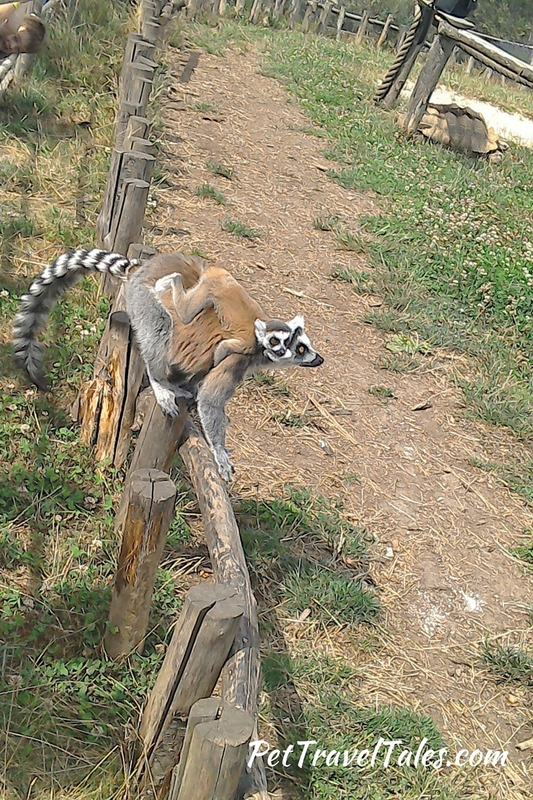 Our luck brought us at the right place just when the lemur show was about to start. 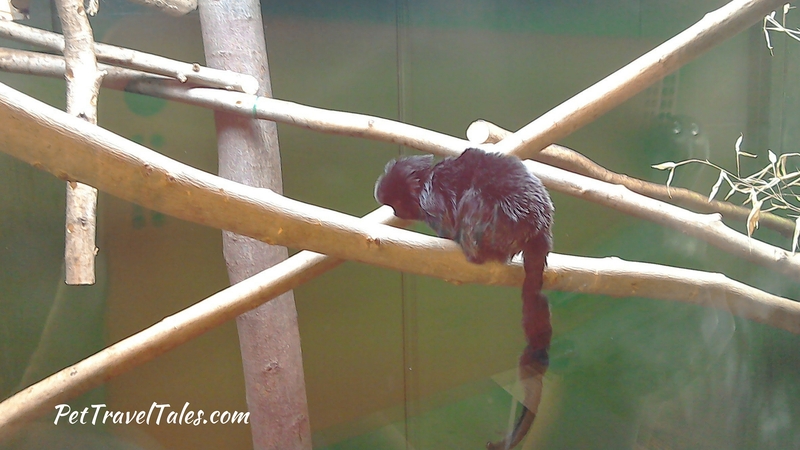 Which was pretty much us looking at lemurs walking around for fruit (cute as hell, I tell you!) 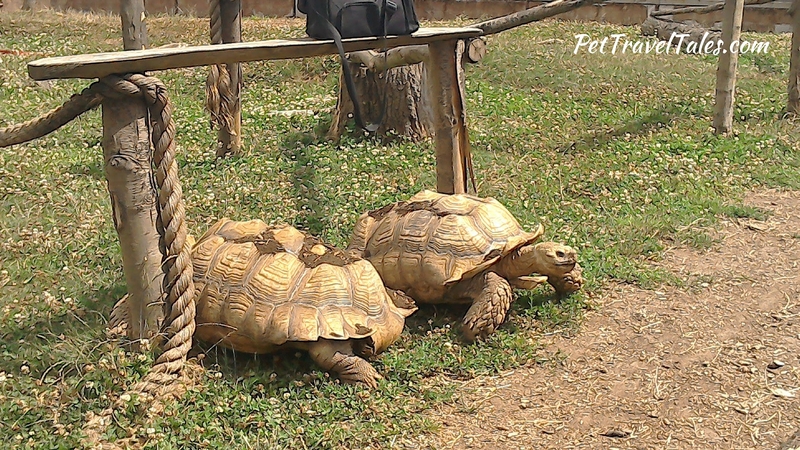 and being amazed by how fast two huge turtles actually moved. For lunch we headed to the Tropical Wings cafeteria which was pretty cool. Of course, if you plan ahead, you can actually bring a picnic basket and have yourself a merry little picnic outside. The food is good though, so you don’t have to do that. 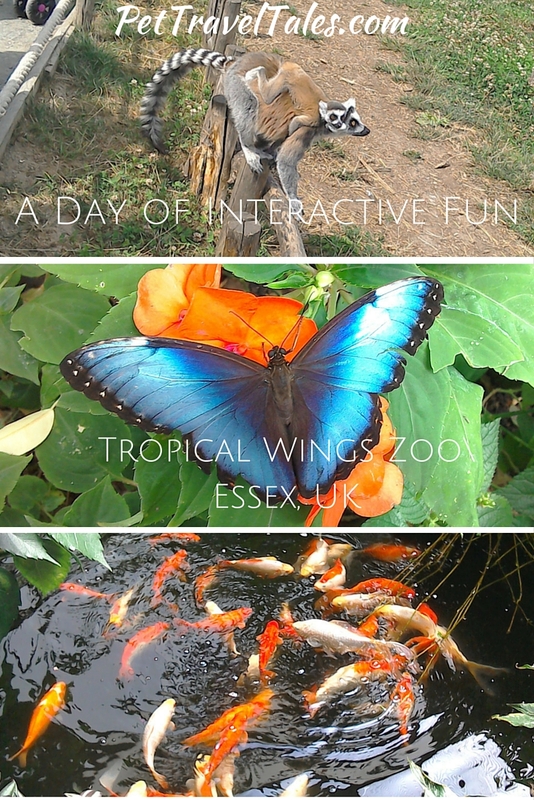 If you ever are in Essex, I strongly recommend you go visit this amazing interactive zoo. I loved every bit of it and I have plans to visit again the next time I’m in Essex. Which will happen soon, if I have any say in it! More Tropical Wings photos below (although they are a small selection of the hundreds I’ve taken while there). Love places where you can have experiences with birds of prey. Looks like a lovely zoo! Chester Zoo is supposed to be amazeballs too if you’re interested. I love them too, so amazing to watch them fly by and then take photos with them 😀 Haven’t been to that one, but I’ll add it on the list for my next visit. Lovely photos – that lemur baby is so cute. I had no idea this was in Essex – not so far for me! I’m from Omaha, NE: home of the #1 zoo in the US, so this took me back to my roots as it looks to have a lot of the same cool features. You are right, every time I go, it’s like being a kid again! 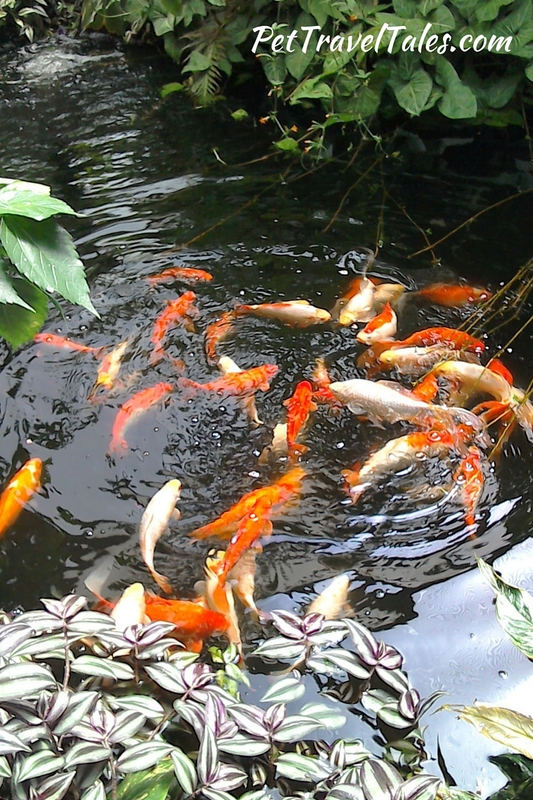 These smaller zoos and wildlife parks can be so much fun. The lemurs adorable, I love how they always seem to be in some sort of family huddle. Yup, more of them were carrying their babies, they were so cute! I’d love to see them again sometime soon. What an amazingly fun place for a picnic. I would love to spend an afternoon the the lemers and butterflies! I used to belong to the San Diego Wild Animal Park where they had a very successful breeding program and spent many afternoons enjoying the sites there. I love the idea of an interactive zoo – it seems so much more free and any visitor can get a better feel for the various species there. It’s quite immersive, and yes, it’s just a better way of experiencing everything. It must have been fun visiting the place. I love the colours of butterflies! I am not a fan of zoos but you seemed like you had a lot of fun! I just firmly believe these animals should be in their natural habitat. 🙁 It’s sad but oh well, this is how the world works. I am on the fence on this one. 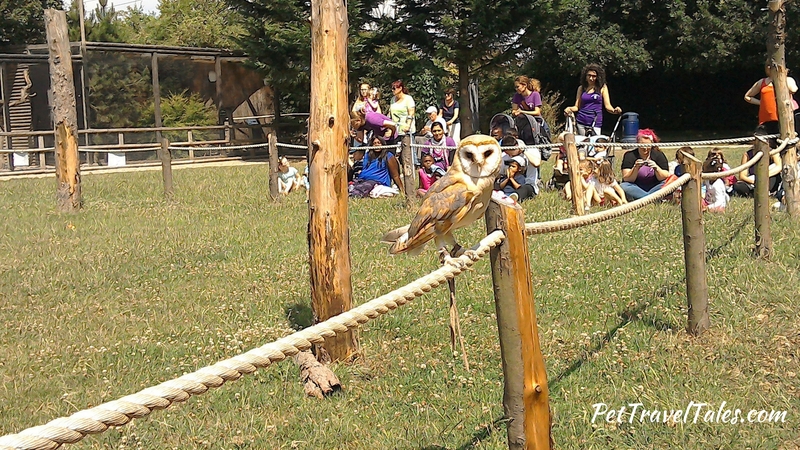 This zoo in particular helped a lot with owls (and those specific to the UK which are endangered). I think as long as the animals are kept in an environment that’s close to their actual one, then it’s great. Educationally speaking, it’s good for kids. The fact that they are discouraging people from trying to keep wild animals as pets is also helpful. Thanks so much, glad you liked the photos. It was an awesome day, because of the place and the company! This looks awesome! 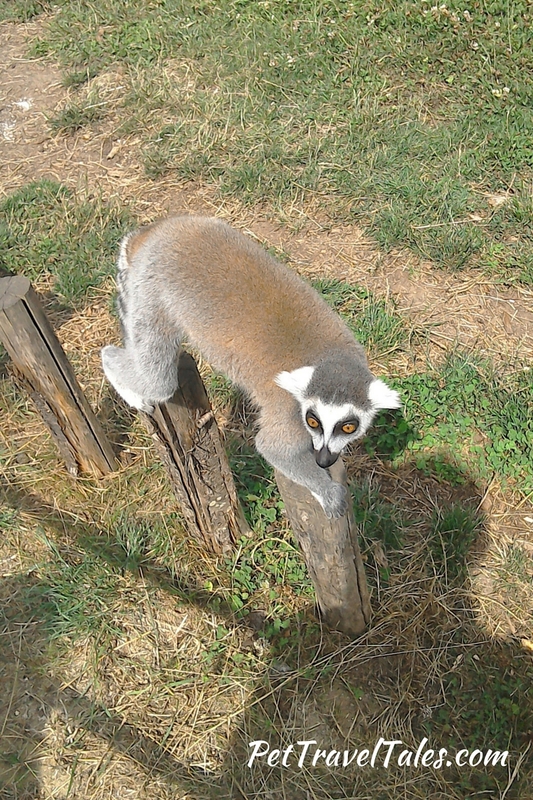 I love lemurs they are my favourite. so cute! It’s great that you had fun, Alina! LOL, I found out they were lemurs in the Madagascar animations :))) I mean, who can forget King Julien? Awesome photo of the butterfly and its wings! How did you get so close without it flying away? I always scare off butterflies LOL. Great photos! It took a few tries 😀 The little menaces tended to close their wings when I pressed the button. I wasn’t extremely close, but I had my DSLR and I was about a meter or two away, I think. They were everywhere, and I was more scared of them bumping into me and hurting themselves 😀 But it never happened. Looks like an amazing place. It reminds me of LaPaz Waterfall gardens in Costa Rica. You’ll have to check it out if you are ever in that neck of the woods. I definitely will, I’d really love to explore Costa Rica. The owl is so beautiful! Aw, so cute. 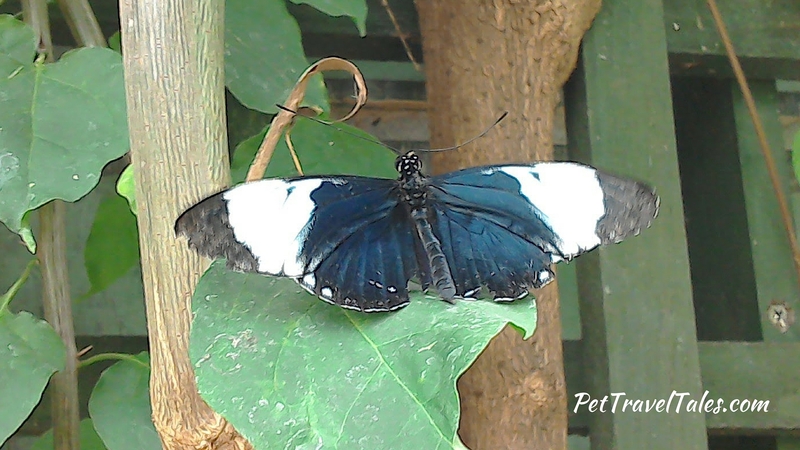 And so many beautiful animals/butterflies. I do love getting amongst nature and wildlife so if definitely agree with this being a good day out. I’ll have to keep it in mind for my next journey south. It was amazing, mostly because parts of it were so immersive 😀 You should definitely try it out when you visit the area. 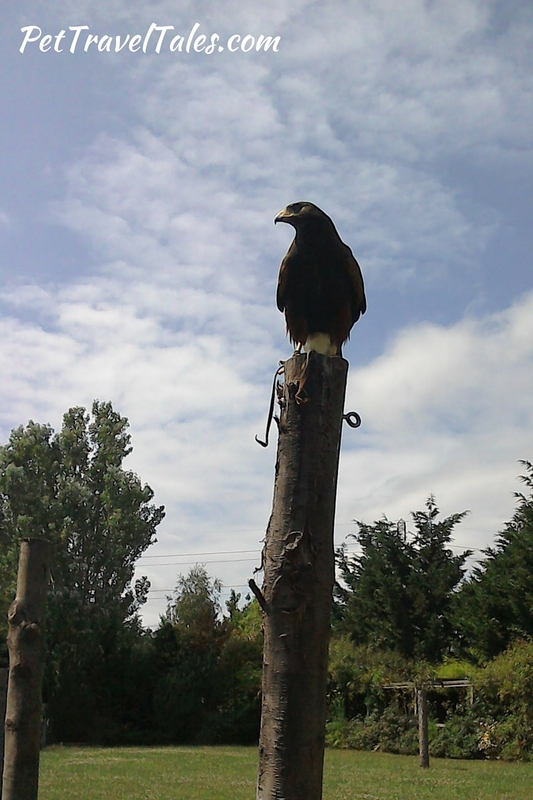 I remember visiting Eagles Flying in Sligo Ireland as part of an Animal Care course I was doing. It’s a bird of prey sanctuary, it was amazing to see the owls and eagles. There were also snakes there which was amazing to see. I loved the birds of prey part of the zoo! And I liked that they were so involved in helping out with endangered owls! I’m from Colchester, Essex where we have Colchester Zoo- is this the same place or different? Your photos look lovely and I’d love to bring my two little nephews here to explore!!! One of the greatest reasons to visit a zoo while traveling is getting exposure to animals you likely don’t have back home. This zoo looks pretty cool. 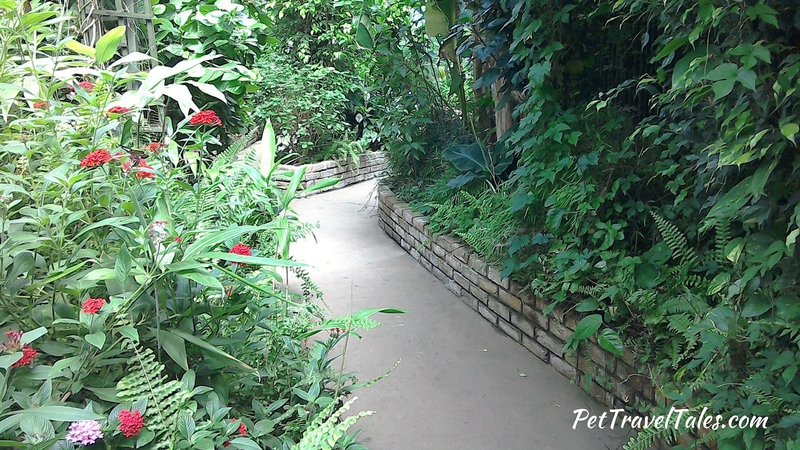 I like the different feels of the lush tropical paths and then the drier looking areas. I would’ve worried about hurting the birds or butterflies, too. Yeah, I was terrified of that bit. But they seemed super good at keeping themselves safe. What I especially love here is the interaction, and that you can capture that in pictures. It makes the experience not just one of going to the zoo but really learning something about the animals and getting close to them. Looks like you had a great time in this zoo. I really like the idea to be that close to the animals instead of watching them behind a glass. The lemur looks so funny and cute lol. And I wonder how you took those photos of butterflies my god they’re so beautiful. Places like these are always a fun place to go for me. The goats were super cute 😀 But I was more interested in watching the meerkats than in going to pet them. Very beautiful pics, I didnt know that you can get so up close with the owls. I think its a good opportunity to get to know more about the animals. Only with the handler there. And you can’t actually touch them, which is the right thing for them. I love zoos! (As long as they are research-based) That barn owl is beautiful! And I can’t believe you got to see lemurs, I’ve always wanted to! Oh, that’s super close then! Well, if she loves owls, make sure you’re ready for the gift shop 😀 Tons of stuff with owls on them. What a cool discovery in Essex! I’ve got lots of family that way and so will definitely suggest a visit next time we are in the area. 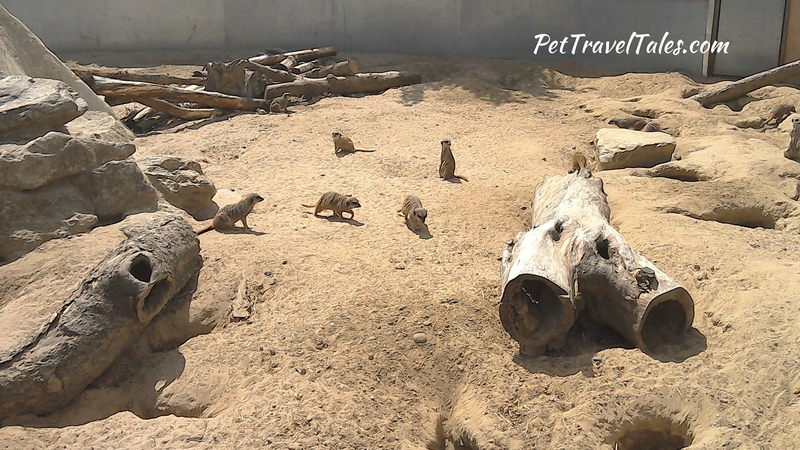 We live in the Cotswolds and not many people know that there is a private zoo – called Heythrop Zoological Gardens – which actually opens once a year to the public. It’s a really good day out if you’re ever in the area! Awww so many rare and cute animals, love that you can interact with them. Lovely photos but my favorite is the one with you and the bird. This totally brought back memories of my recent visit to a zoo in Australia. I love that picture too! It was so fun taking it after seeing the birds fly by! Wow, this place is in Essex? How great is that! The pictures are amazing and I imagine visiting during the week with not too many tourists around this place really is an experience.